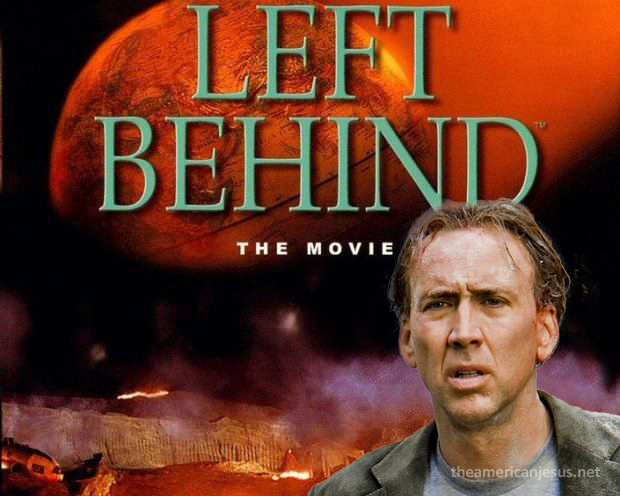 Nicholas Cage to get "Left Behind?" Yes, you read that right. Nicholas Cage maker of bad movies has decided to get serious and lower his standards even more. Apparently he is involved in negotiations to reboot the Left Behind series. Nicolas Cage is in negotiations to topline "Left Behind," a mainstream reboot of the Christian-themed movie trilogy that will mark the first film from Stoney Lake Entertainment, a new production company led by Paul Lalonde of faith-oriented banner Cloud Ten Pictures. The "Left Behind" franchise is based on the series of books written by Tim LaHaye and Jerry Jenkins that have sold more than 65 million copies worldwide. Lalonde will produce the action thriller with Michael Walker, and co-write the script with John Patus, who wrote 2005's "Left Behind: World at War." Veteran stunt coordinator and second unit director Vic Armstrong ("Army of One") is in talks to direct. Project, budgeted in the $15 million range, was shopped at last year's American Film Market. Production is expected to begin in early spring with an eye toward wide release in the fourth quarter of 2013. Lalonde told Variety that there is a theatrical guarantee in place from distributor Samuel Goldwyn Films. The Christian-themed "Left Behind" reboot will follow a group of survivors during the first few hours after the Rapture. No word yet on how any of his previous films may impact his performance. Will this new movie make him a National Treasure to evangelicals? Will he only have a cameo as a Ghost Rider? Or perhaps this movie, like most of his others, will be Gone in Sixty Seconds. 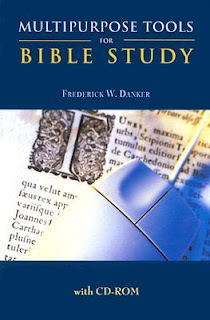 Danker’s indispensable volume, available since 1993 in a revised and expanded edition, has served for 40 years as the reliable guide for students and scholars to the foundational texts of biblical study: concordances, primary Hebrew and Greek texts, grammars and lexicons, Bible dictionaries and versions, commentaries, and a host of contextual tools for studying the world of the Bible and the Dead Sea Scrolls. Now the volume will also include a CD-ROM, powered by the Libronix Digital Library System, making this work more convenient to use, easily searchable, and ready for notetaking, highlighting, bookmarking, and use with a word processor. The CD-ROM will also include some updated bibliography and Weblinks to related material. This is probably a good book for a seminary student or someone interested in doing more serious Bible study. If you would like a chance to win put your name below and I will draw a winner on Sunday. But please remember dear readers that you MUST check back to see if you win. I have in my possession a book that I have tried to give away twice. Both times I announced the winner, but they never contacted me. This is why there is a five day limit. If your name is chosen you have five (5) days to contact me or the book goes back on the shelf. What does it mean to be a biblical woman? There is a lot of discussion in some circles about being "biblical." People talk about biblical manhood, biblical womanhood, biblical marriage, and so on and so forth. The problem, as I have pointed out on this blog before, is that few if anyone really understands, much less lives up to, what they think is a "biblical definition" of anything. 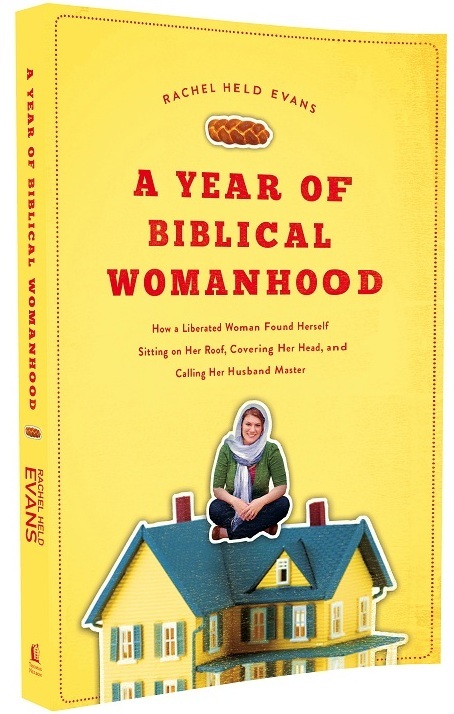 Enter Rachel Held Evans, writer, speaker, blogger and trouble maker (I say that with affection). Rachel grew up in a an evangelical home and heard a lot about being a "biblical woman." But she also realized that most of what is thought to be "biblical" is really just cultural expectations that we place on women and had nothing to do with the Bible. So, she decided to live a year as a "biblical woman." In the spirit of A.J. Jacobs The Year of Living Biblically, Rachel decided to live a life based on what the Bible had to say about women. The result is both humorous and eyeopening. She has written about her experiences in a soon to be released book. In the mean time, here is a short video interview with Rachel. There are more video clips from her year at her blog. News is beginning to spread that Frank Moore Cross passed away today. Cross was a titan in biblical studies. I will post more information as it become available. In the mean time you can read about his life here. Jim Davila, a doctoral student under cross. 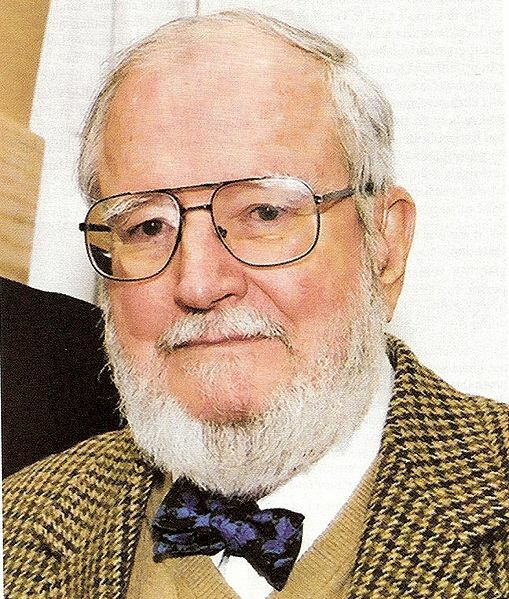 Hershel Shanks, editor of Biblical Archaeology Review. Jonathan Rosenbaum on the ASOR Blog. The story about the Jesus' wife papyri seems to have run its course. The biggest news to come out in the last few weeks is that it looks like the script on the fragment may have been copied from a Gospel of Thomas website. The reason this has been suggested is that the version of Thomas on the website has a typo, the scholar transcribing the text left out the direct object marker. When the papyri is compared to the website it has the same typo. It looks like someone may have forged the fragment from the website, but didn't know Coptic or Thomas well enough to realize the problem. Mark Goodacre and James McGrath. Also, a nice overview of the story and how it has played out can be found in the Guardian, the NYPOST and Tech News Daily. May she and this story rest in peace. Is God using Monday Night Football to Warn President Obama and America? Ok, it's a slow day in the blogging world and the below video comes from the "you can't make this stuff up" file. I can't even bring myself to comment on it. I leave it to you dear readers to contribute your analysis below. 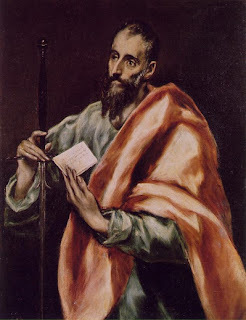 I continue with my series on the Thessalonian correspondence. Today I look at 1 Thessalonians 2:1-7. 1 You know, brothers and sisters, that our visit to you was not without results. 2 We had previously suffered and been treated outrageously in Philippi, as you know, but with the help of our God we dared to tell you his gospel in the face of strong opposition. 3 For the appeal we make does not spring from error or impure motives, nor are we trying to trick you. 4 On the contrary, we speak as those approved by God to be entrusted with the gospel. We are not trying to please people but God, who tests our hearts. 5 You know we never used flattery, nor did we put on a mask to cover up greed—God is our witness. 6 We were not looking for praise from people, not from you or anyone else, even though as apostles of Christ we could have asserted our authority. 7 Instead, we were like young children among you. No one likes having their motives questioned or accused of harboring a hidden agenda. But it happens in ministry more than we would like to admit. A pastor says or does something she believes will be helpful for the congregation and is accused of making a power play or being dishonest. The energy she wants to put into ministry ends up directed at defending herself and her integrity. Paul’s words in 1 Thessalonians 2 helps us realize that having to explain, or even defend, one’s motivation and ministry approach is not new. These kinds of questions have been asked since the earliest days of the church. This means that modern ministers of the gospel should not be surprised when they are asked to explain themselves. They are not the first and certainly won’t be the last to have their motives questioned. Evangelist George Whitefield (1714 – 1770) knew what it was like to minister in the face of opposition. Whitefield is sometimes called the father of modern Evangelicals. While we might debate the accuracy of this description, many agree that he laid the ground work for such American preachers as Charles Finney, D.L. Moody, Billy Sunday and Billy Graham. But like the Apostle Paul, he often ministered in the face of opposition with some questioning his motives. During his life and ministry Whitefield had rotten eggs and pieces of dead cat thrown at him, received death threats and once was nearly stoned to death. Sometimes people would gather with drums and trumpets trying to drown out his preaching. The press didn’t help either. Newspapers in Boston wrote that he was a “Peddler in Divinity,” a “Spiritual Pickpocket” and suggested that local laws instituted for “Pedlars in Trade” (i.e. Salesmen) be used to regulate Whitfield and his ministry. But probably the most distressing to Whitefield was the opposition he received from his friends John and Charles Wesley. A doctrinal dispute pitted Whitefield against the Wesleys in what became a very public feud and ended up costing him a number of supporters. To his credit, Whitfield recognized that, in spite of the opposition from his friends, God alone saw the true motives of his heart. It is good for me that I have been supplanted, despised, censured, maligned, judged by and separated from my dearest friends. By this I have found the faithfulness of Him who is the friend of friends . . . and to be content that He to whom all hearts are open . . . now sees . . . the uprightness of my intentions to all mankind. Like Paul, Whitefield handed his case over to God and believed that in the end God would be the one who vindicated him, his motives and his ministry. As we look at Paul’s words to the Thessalonians here there are some things that we can apply to our ministries for those times when we are facing opposition or questions regarding our methods or motives. Most will not be beaten and thrown in jail like Paul and Silas or have pieces of dead cat thrown at them like Whitfield, although those types of actions and worse cannot be ruled out in some places in the world where the gospel is preached. But regardless of the source and shape of the resistance, Paul provides a model for responding. One thing Paul doesn’t lose sight of here or in his other epistles is the call of God for him to preach the gospel. He and the others are confident that God called them to do this, and they put their trust in God not the people to whom they are ministering (2:4). I suspect that Paul’s experience on the Damascus road never left him. 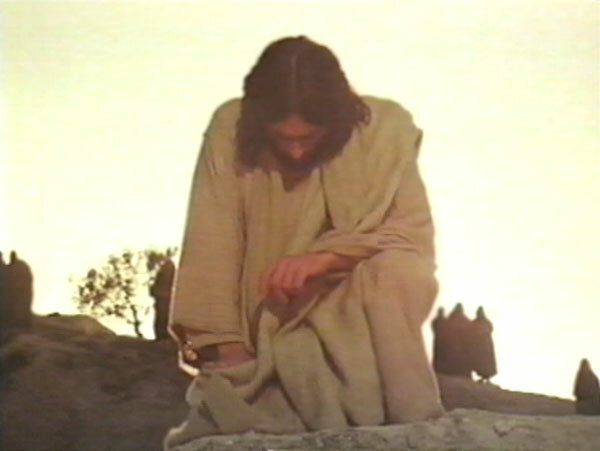 His encounter with Jesus and his commission to the Gentiles is what helped keep him going (Acts 9:1-19). Compounding this was the vision Paul received one night of a man asking him to come to Macedonia (Acts 16:9-10). I imagine being beaten and imprisoned in Philippi and run out of places like Thessalonica and Berea Paul and the others might begin to question whether or not God really had called them to preach the gospel here. The central thing to keep in mind is that your ministry is your calling. It is not just a job. Granted, it may be the primary way in which your support yourself and your family. But it can’t be viewed primarily as an occupation. It’s not unusual today for people to have two or three careers. For some that second or third career is the ministry. God calls them from business, military or some other occupation. The difference, however, is your knowing that God called you to it. It is not something you do to pay the bills and look forward to the weekend and the next vacation. In many ways, it helps to define you. If we approach ministry with the attitude of “I was looking for a job when I found this one” then we won’t be able to endure the challenges of ministry, and there will be some! Like Paul, we need remember that ultimately it was not a particular denomination or mission board that called us to ministry. It was God who touched our heart and told us to “go.” A pastor friend told me that there were times over thirty years of ministry that being able to go back in his mind and heart to the call God laid on him was the only thing that stopped him from walking away sometimes. Like Moses with the burning bush and Paul on the Damascus road that day in history is forever engrained in his heart and mind. If someone is experiencing a serious challenge in their ministry and life I would ask them: “What is your call?” followed up by: “Are you still following it?” Remembering our call or reaffirming it is particularly important when we are called to defend our ministry. My friend, fellow Durham grad and colleague in New Testament, Brett Burrowes, has started blogging. Do take a moment to visit his blog Transformed into His Image and let him know you stopped by. 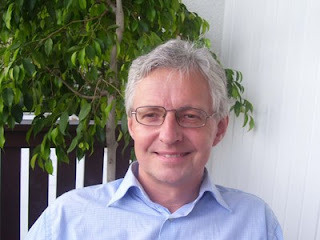 Professor Jorg Frey has passed on the news that Friedrich Avemarie has died a few days before his 52nd birthday. Avemarie was Professor of New Testament at Marburg. I have just learned that my dear friend and colleague Prof. Dr. Friedrich Avemarie (University Marbrug) died yesterday of a heart attack. He would have turned 52 years old in a few days. He was a wonderful person and one of the few true friends you can have in science, a great scholar who knew rabbinic literature like no other in our profession.